Home » Night Life on the Mountain: How Much Do You Really Need It? The fact is, for many snow lovers, it’s important to make the most of your time on the mountain. Skiing is demanding on your body and, let’s be honest, it’s not a cheap hobby. 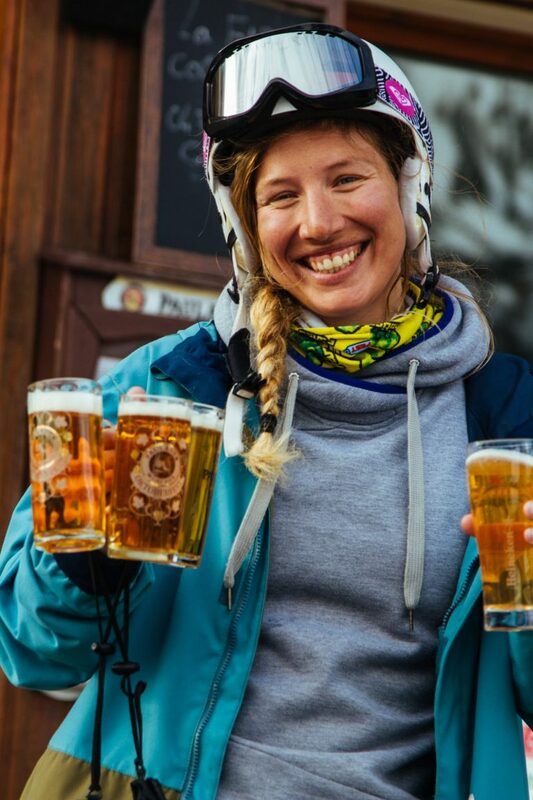 For those of us who don’t go out regularly (unlike youngsters in their 20s), a big night out can have serious consequences: waking up in a late morning haze, tired, weary, confused and slow … leading to lost time on the slopes and kicking yourself for going to that last bar. You could instead be enjoying the first lift and those fabled fresh tracks. Staying in catered chalets can be a welcome hindrance to a night out. They allow you to enjoy a great evening meal with friends, normally with wine included (isn’t that all we really need? ), leaving you feeling all warm and cosy, ready for bed after some mint tea and ready to do it all again the following day. 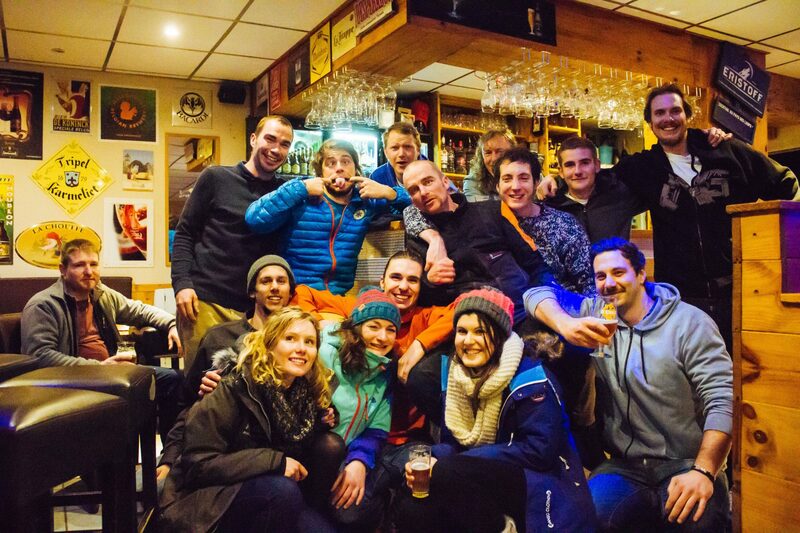 Of course, staying in Vaujany doesn’t mean you have to give up on a livelier après-ski scene completely. If you want to go for it early, you can start at La Folie Douce in Alpe d’Huez, the main resort that Vaujany links into, with a huge ski area (250km of runs divided in to 123 pistes, vertical descents of up to 2,200 metres and the longest black run in the world at 16km). It’s a great place to kick start your afternoon drinking, with dancing on tables being a daily standard with people of all ages … you can’t get any better! Closer to the village, there’s Le Petit Truc, at the base of Montfrais, the Vaujany ski area, where the young guns see off the day’s skiing with a demi in hand. In Vaujany itself, once you’re ready to finish skiing or boarding for the day, as soon as you arrive at the lift station, you are greeted by the Table de La Fare: the perfect spot for a drink outside on the deckchairs, watching the sun go down and the sky turn red. Here you’ll find the local ESF ski school instructors winding down. On the other side of the lift station is Arsens’ Sports Bar, which does exactly what it says on the tin. It has four TVs showing sports – perfect to watch a Premier League match or a Six Nations battle. Both venues are great for a chat among friends or for meeting others. And you can do all this before arriving back at your Ski Peak chalet and gourmet-standard dinner. If you do have the energy and willpower after that sensational dinner, then there are a few more bars to visit. Le Scratch opened last year and was a huge success, renovated with care by owner Tom, who loves his music and hosts a live band every Wednesday. The building is a converted milking parlour, so you can expect some great acoustics. It’s great fun but be warned: it gets mighty hot if everyone has their dancing shoes on. The other option is Stiefs Bar Resto at the top of the escalators, boasting a huge selection of bottled Belgian beer, homemade Genepi and a pool table downstairs … a great seasonnaire hangout. So perhaps there IS some nightlife in Vaujany after all!